Our Cambridge course Upper Advanced (CAE) programs are designed to help students attain a level of proficiency and accuracy. This program is designed to help you attain a level of proficiency and accuracy as it relates to your goals when taking the Cambridge exams. All four skills are systematically developed and practiced in each unit and in-depth exam training is provided throughout. You will focus on using the English language flexibly and creatively as it relates to a variety of exam situations and topics. As this is an advanced course, you will learn subtle differences in grammar and vocabulary use as it relates to the CAE exam. This course will also help you to develop a greater understanding of the significance of culture as it relates to language; it will help you develop the necessary skills to feel better prepared for taking the CAE exam. 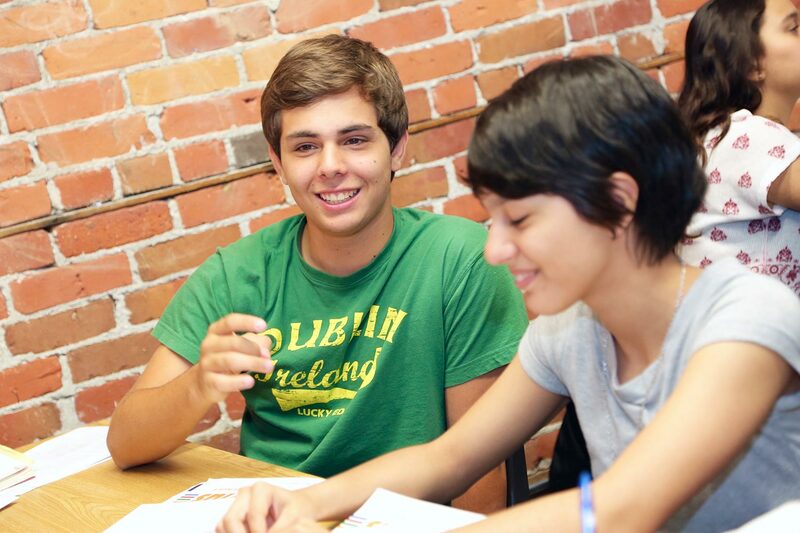 The Cambridge Certificate in Advanced English Program is offered in the summer months only. Students must be at the appropriate level to enter these courses (you can take our online placement test here). have an improved CAE score. have developed Cambridge Exams strategies. have read, understood and answered questions on the content of various text types, related to the CAE exams. be able to answer different types of English grammar questions with confidence. handle the various sections of the oral test with confidence. apply the use of different language structures appropriately. summarize, reconstruct, and present arguments coherently for the Cambridge exams. Experienced and knowledgeable teachers for CAE exam. Individualized feedback to focus you on areas that need improvement. Practice Cambridge exams every two weeks to monitor your progress and results. This program takes 8 weeks to complete. Students can choose to study from 2-8 weeks. Please contact [email protected] for prices.